Provide comfort for the family of Lynette Saltus with a meaningful gesture of sympathy. Lynette M. Saltus, 44, died Friday, February 1st, 2019 at St. Joseph’s Hospital in Syracuse. Lynette was born in Syracuse and earned her Associates Degree in Nursing from Warren County Community College in Washington, NJ. She resided in various locations in the United States including California and New Jersey before returning to the Syracuse area six years ago. Lynette was a Registered Nurse at Warren Hospital for several years and in later years, at St. Joseph’s Hospital locally. 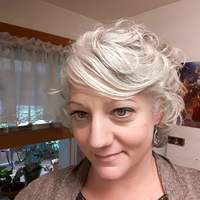 She was a member of a local Sweat Lodge where she felt connected to the American Indian heritage and was practicing to become a Reiki Healer. Lynette enjoyed tending to her green plants. She was predeceased by her father, Frank Smith in 2013 and by a sister, Deanne Smith in 2012. Surviving are her five children: Alesia Galati of NC, Rodney Frazier based in FL, Jada Smith of Central Square, Micaiah Smith of MA, and Zion Smith of Central Square; her mother, Julia Semans of Watertown; three siblings: Julia Smith, James Hierholzer, and Amanda Semans; her three grandchildren: Gabriel, Jude and Joseph; and by several nieces and nephews. Services were held privately at the convenience of the family. To send flowers in memory of Lynette M. Saltus, please visit our Heartfelt Sympathies Store. Provide comfort for the family of Lynette M. Saltus by sending flowers. In the short time that I knew her, Lynette was a very kind and giving person. My heart goes out to her family during this extremely difficult time. Lynette was a lovely, gentle and caring woman. I am honored to have known her.